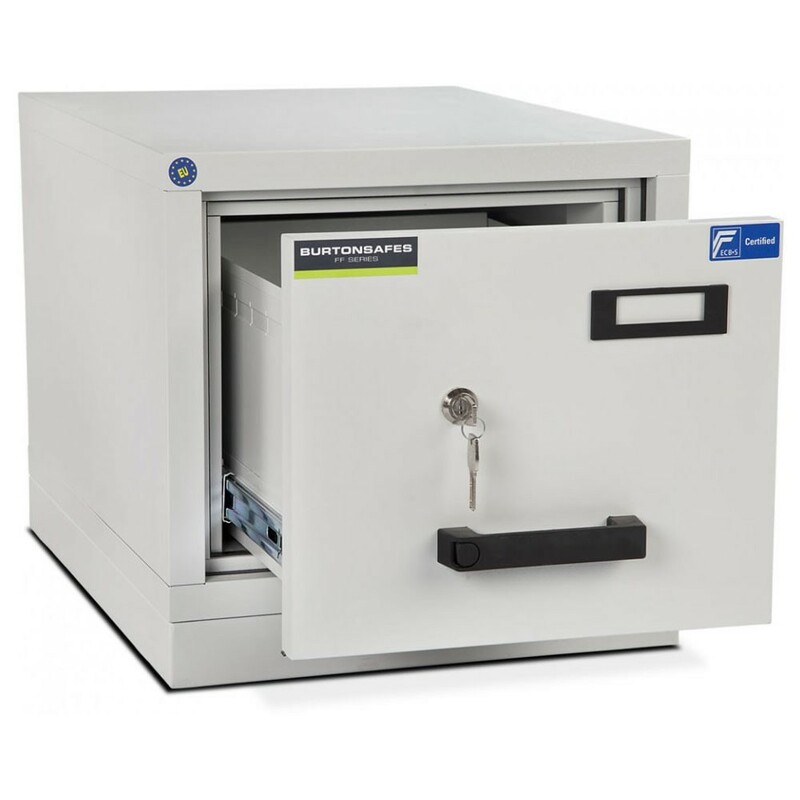 The Burton FF100 filing cabinet 1 drawer key is independently tested and certified by ECBS to EN15659 LFS60P thereby offering protection to paper documents for up to 60 minutes in the case of a fire. It is designed to protect documents in a maximum of 900 Degrees Celsius. The cabinet is fitted with a central locking key lock and the drawer can hold up to 40kgs of A4 and Foolscap files. The Burton FF100 filing cabinet 1 drawer key has tactile rubber handles for easy gripping and there is a label holder on the drawer.